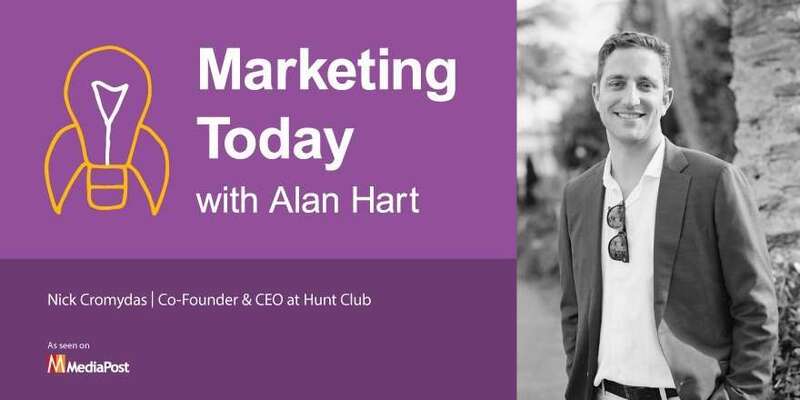 This week on “Marketing Today,” Alan talks with Nick Cromydas, founder and CEO of Hunt Club, a new type of talent company. Cromydas and his company have built and utilize a network of influencers and, through proprietary technology, they refer people from that network to fill positions at high-growth companies, as well as at larger enterprises. During the course of their conversation, Cromydas, an investor and entrepreneur, talks about the driving force behind Hunt Club, how his life in tennis has been a key influence in his career, and the kind of talent companies must have to thrive.